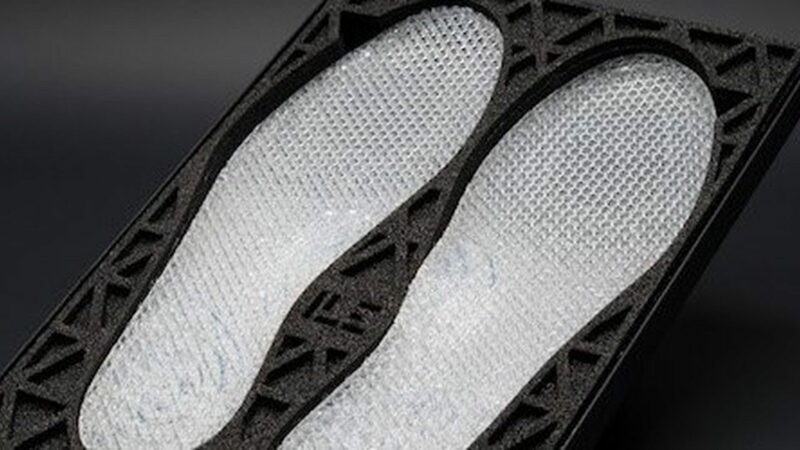 ECCO Shoes, a Danish footwear brand, has introduced 3D printed customized entire midsoles in silicone using German RepRap machines. Quant-U, the name given to the project, has seen two years of research conducted at the Innovation Lab ECCO (I.L.E.) in Amsterdam, the Netherlands. I.L.E. collaborated with Dassault Systemes’ FashionLab, a technology incubator specializing in 3D design and simulation in consumer goods and fashion. Using Dassault’s 3DEXPERIENCE platform, ECCO is able to interpret bio-mechanic data into geometries suitable for 3D printing. Generative designs are validated through FEA simulations to ensure the best functionality possible. With scanning and 3D printing technology, ECCO is able to provide personalized midsoles, which bring greater comfort, and with the assistance of an embedded sensor, can monitor gait analysis to deliver an even better product next time.